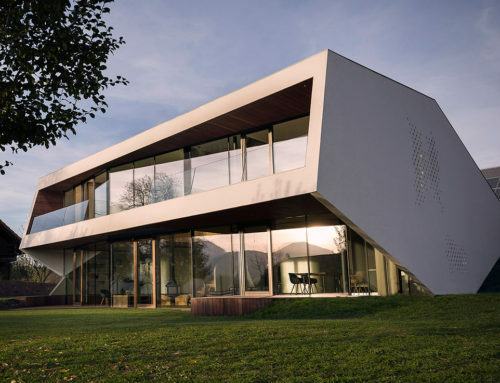 A sustainable house – the first thing we normally immediately notice is a simple cube with not many north-facade openings and with quite a few south-facade openings, external blinds, and thick insulation. The Swedish architectural bureau Unit Arkitektur AB, however, managed to design something different and unique, and thus the Glass House was created in 2011 – a house offering nice climate instead of walls. Karin and Sven-Oval came up with an unusual wish. What they wanted more than anything was a house with a view of the wonderful Swedish landscape and North-African climate. Besides owning an old farm in Sweden they also had three young architects on the other end of the line, namely Mikael, Klas, and Frans. The three architects put their heads together and instead of designing materials they started »designing« climate. While a thermal refurbishment of the old house would be too expensive (therefore only bedrooms with thick eiderdowns remained there), establishing Mediterranean climate was ridiculously cheap. 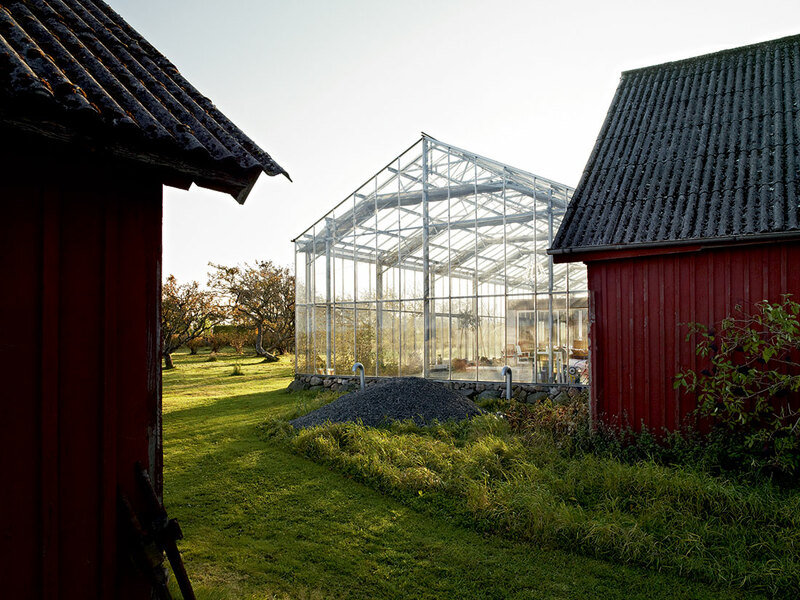 Mikael, Klas, and Frans constructed a 250 sqm greenhouse, and the total building cost equalled that of a 100 sqm house. Instead of choosing parquet, Karin and Sven-Olav opted for Wildflowers of Spain, which grow excellently in their own private climate zone. A synergy between the morphology of agricultural facilities and greenhouse typology contributes to the aesthetically authentic and economically extremely effective concept of a house that represents a complex of private climate areas. Highly elaborated thermal design enables residents to enjoy all the benefits of Mediterranean climate in the heart of the Scandinavian landscape, with efficient energy use, modest style, and no substantial excess costs.